This post is sponsored by Hill’s. 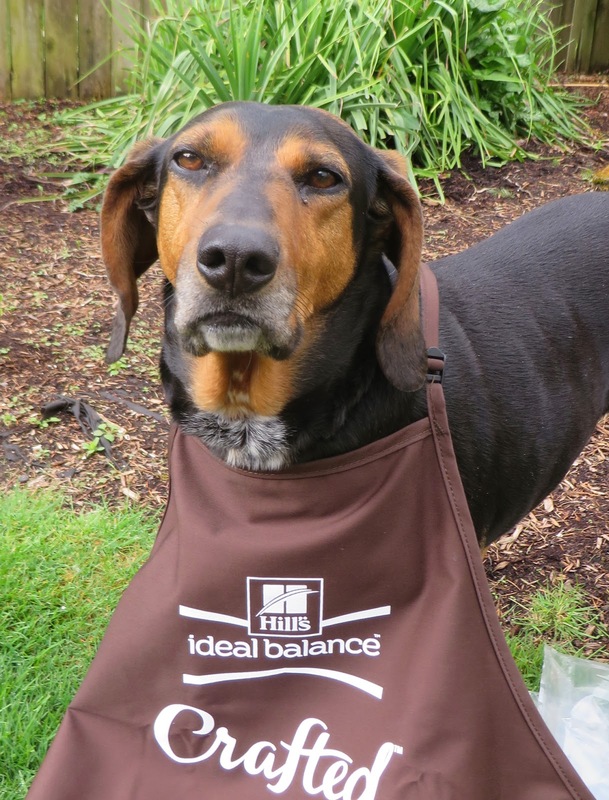 I am being compensated for helping spread the word about Hill’s® Ideal Balance™ Crafted™, but Coonhound Tales only shares information we feel is relevant to our readers. Hill’s Pet Nutrition, Inc. is not responsible for the content of this article. 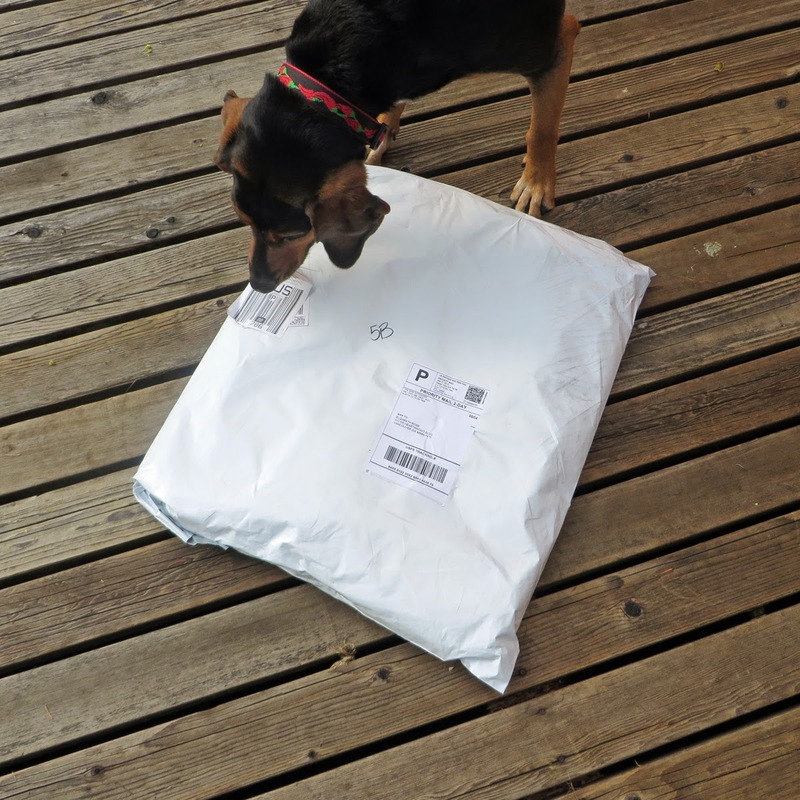 A while Back I told you about the interesting package I received from Hill’s® Pet. Inside were lots of things but what I was interested in was the new oven-roasted dog food. Now they have canned wet food too, and I'll certainly try that but what I am used to is kibble. So I've been mixing their Ideal Balance™ Crafted™Grain Free Herbed Chicken & Chickpeas Recipe with my regular kibble. It is 100% balanced nutrition and there is no corn, wheat or soy included. To tell you the truth, I'm just fine with a bowl full of just this small batch crafted food. It's delicious. I also got a book. So I read up on what makes it smell good, taste good and be good for ME! You see, just like in my owner's favorite Portland restaurants, the chefs at Hill's create the food in small batches. Small batch means that Ideal Balance™ Crafted™is made just the way my owner would cook things.. one very special batch at a time. At Hill's they create unique recipes in small batches using high-quality proteins, wholesome vegetables and ancient grains. They know where their ingredients are sourced. It's the stuff that's good for me. 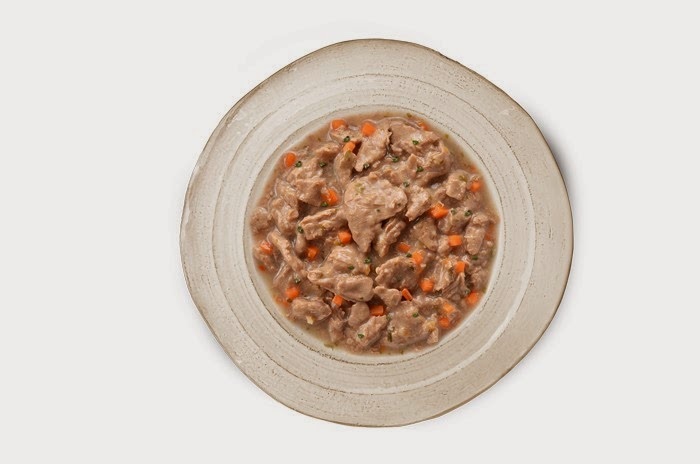 Hill's has Crafted foods for dogs and cats. I'm looking forward to trying the canned food and the TREATS! When they make the dry dog food they roll out the dough, after it is mixed with only the best well-balanced ingredients, and cut out each kibble and check to make sure they are just right. Then they oven-roast them at 400 degrees until they are ready... not too long and not too short of time. They also take this type of care with their wet foods... like my owner might make a stew. They slow cook the wet food in the can at 250 degrees to lock in flavor and nutrition. I can't wait to try that! Braised Salmon Medley with Quinoa! Here's a little bit more information to help you make the decision I did. I'm all for more nutritious, good tasting food. I'm all for being healthy and running like the wind at the dog park! I think dogs get bored with stale, routine, mass-produced foods. I really like the opportunity to taste something new, especially something that is made with such care and is good for me. 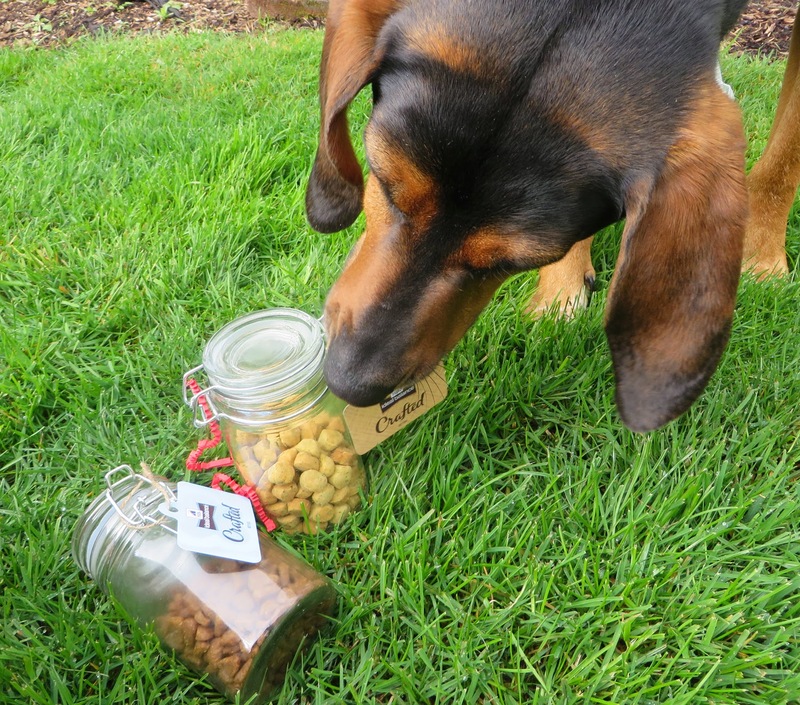 I love being a pet blogger and I love when companies like Hill’s® Pet let me try their dog food! I'm all about sniffing out the good stuff. me energy for the chase! 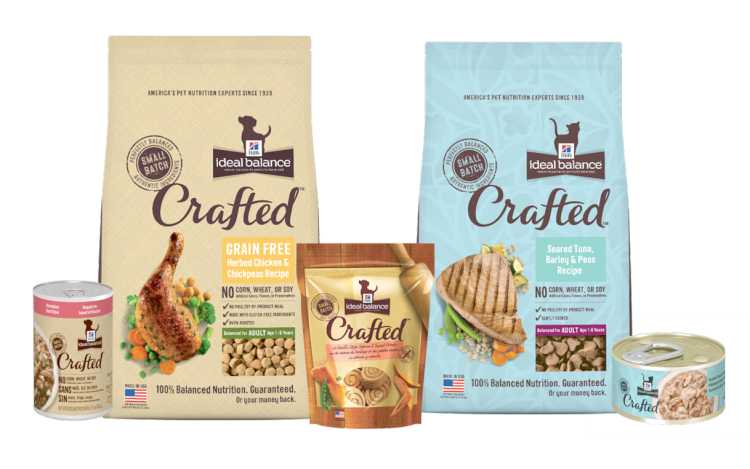 You can purchase Hill's Ideal Balance™ Crafted™foods online and from selected veterinary offices and stores. Currently you can save 20% at this site. Now, I think it's time for dinner! YES! This is a long story. 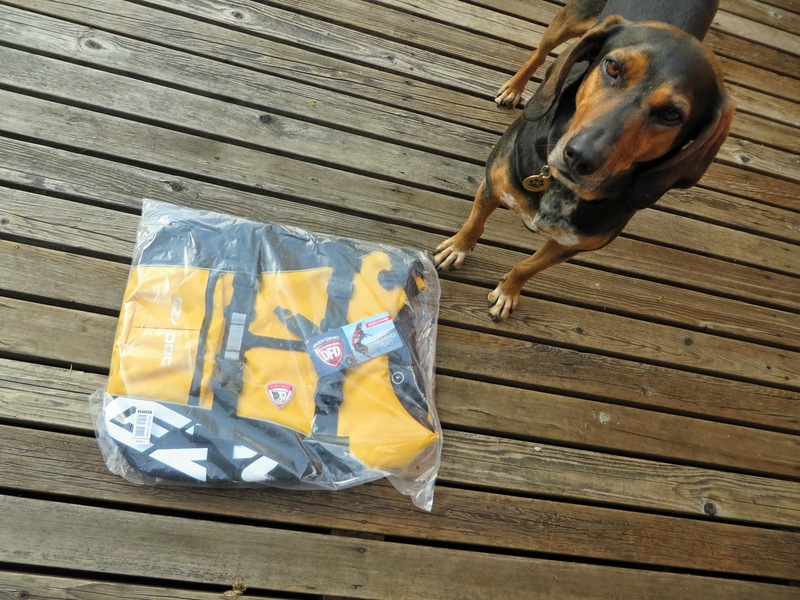 It's a story about how I came to be the owner of a beautiful yellow and black float coat, or life jacket. People life jackets don't work for us dogs but we do need to be protected. 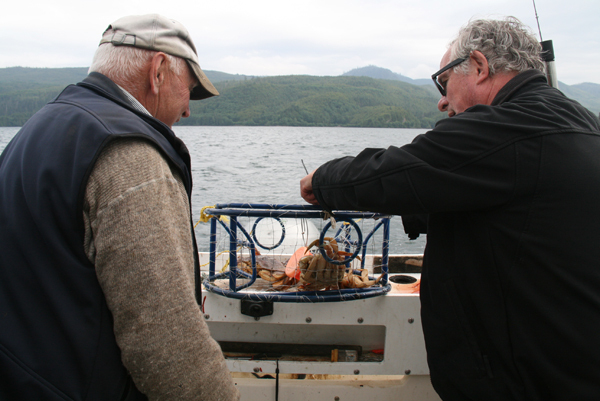 Here I am in the cabin of the fishing boat holding on for dear life! A couple of years ago I was invited to go salmon fishing in Haida Gwaii, Canada. I quickly became a fan of ocean smells and beach combing. So I figured fishing from a boat would be right up my alley. 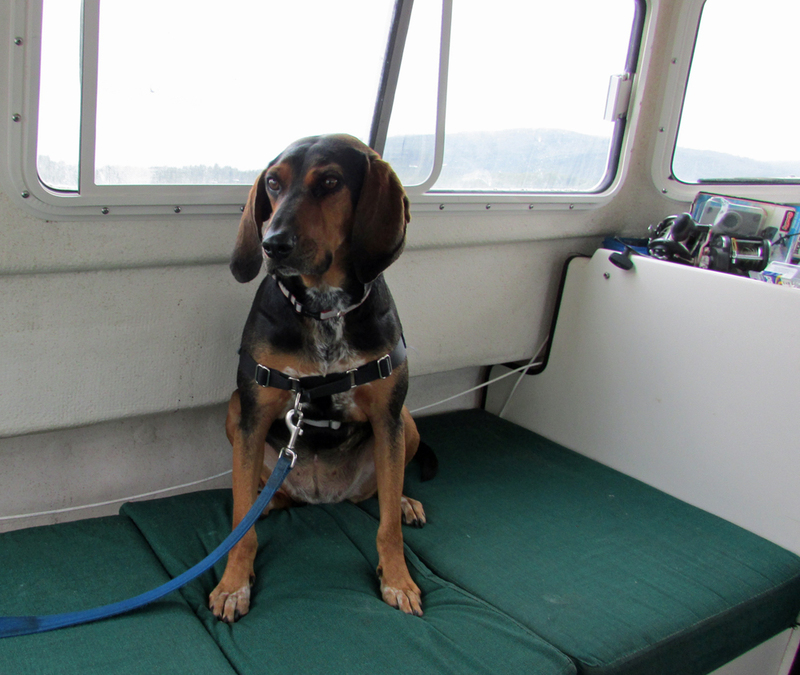 I hopped aboard the boat and got settled on a cushion in the cabin. And then the journey started. We went out of the harbor and it got choppy. I was nervous. I had no life jacket and I wanted to GET OFF THE ROCKING BOAT! I held on for dear life. We went through the narrows and found a fairly quiet place to fish. I relaxed and wanted to go out on the fantail and help. But no.... I was told to stay in the cabin because I had no life jacket. So I did. After eight long hours of fishing we headed in to pick up crab pots. That was exciting but I wasn't allowed too near them. Here are those snappy crabs. We reached the harbor with all the great fish and crab smells and I finally got to get off the boat and trot up the dock. DRY LAND! I would have kissed the grass if I didn't need to go potty so badly! So that was my first adventure on a boat without a life jacket. Now that I live in the Pacific Northwest, I'm around water a lot. We go to the ocean. we walk out on docks, we wade in the Columbia River. All without a life jacket. This got my owner thinking. 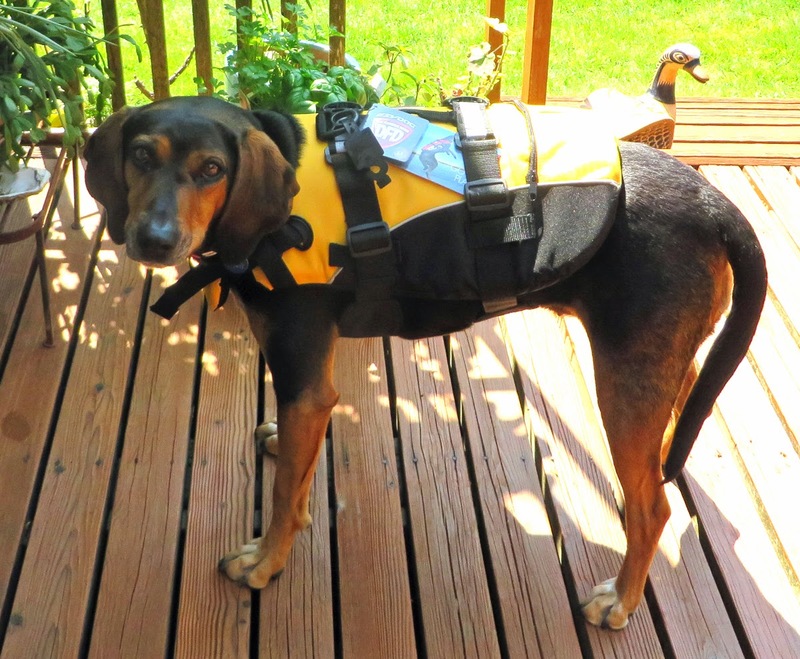 My owner started thinking I might need a life jacket when she was visiting Gig Harbor. She saw a dog life jacket in a marine supply store there. Since I wanted to go on a sailboat some day and spend more time on the docks, I looked around the Internet for a spiffy float coat. AND I FOUND ONE! 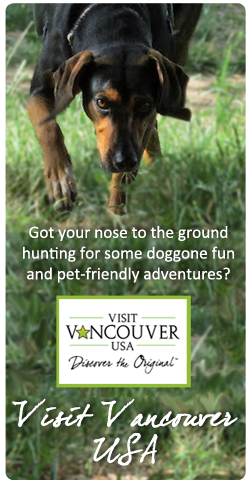 I found a great website called The Dog Outdoors. I must have spent an hour looking at everything. They had dog packs, travel gear, harnesses, collars and a special dog bike leash. They had everything for the active dog, which is ME! I like to think I could go on all sorts of adventures if I had the right gear. I read the page about dog flotation devices and found one I thought would suit me. I clicked on EzyDog jackets and read EVERYTHING. 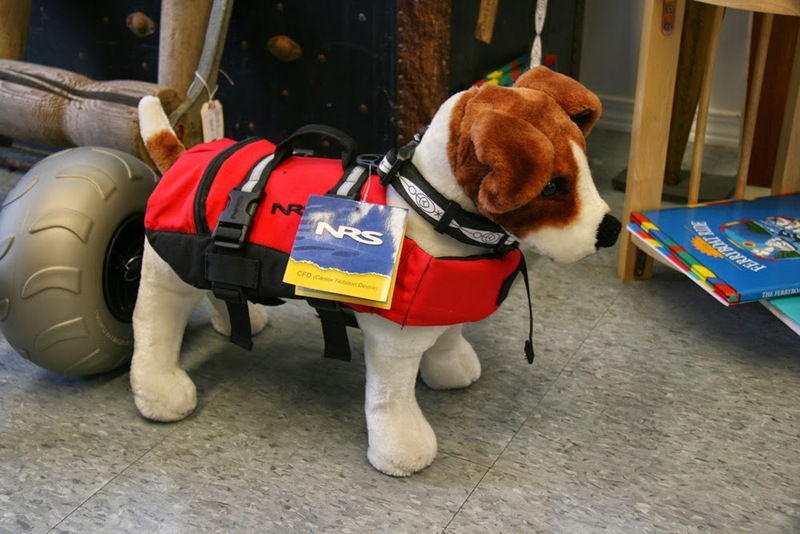 They had a sizing chart and even videos that showed how to put the life jacket on and how some dogs were swimming in theirs. I have never been swimming and am not sure I want to. I mainly want the jacket for safety (just in case). I learned a lot but what I really liked was how the yellow and black jacket would compliment my beautiful black and tan coat. I'd be the envy of all dogs at the yacht club, right? So we sent for the jacket. It arrived pretty quickly and I was so excited to get it. I tore open the package and there it was. My beautiful yellow life jacket! I can't wait to try it on! I tried it on and it seemed really big. In fact, I could hardly walk around with it on. So my owner got ahold of the nice people at The Dog Outdoors and they said we could exchange it for a size medium. Turns out my measurements were ok for a medium or a large. That's why I ended up with a jacket too large. They have a size chart. Look at it more carefully than I did. As soon as they got the return, they sent out my new jacket. I tried it on and it fit great! I could walk around. And, I kind of fantasized that I could swim in it (Maybe). I have to say my experience with The Dog Outdoors was a very good one. They are a small company, founded by a young couple in Texas. They have their own dogs. They also invented a special leash for those who want to bike ride with their dogs. Sometimes I just look through the website enjoying the videos and the travel and outdoor gear. I'm looking forward to hiking a lot this summer and, if I am lucky, I'll get a ride on a sailboat. sailing, exploring the beach and hanging out at the yacht club! I highly recommend The Dog Outdoors. My experience was a good one and so far I like the quality of the product. Check them out! Note: As is common in the pet blogging industry, the writer was provided with this product for the purpose of review. While it has not influenced this review, Cinnamon believes in full disclosure of all potential conflicts of interest. You all know I was rescued from the streets of Santa Fe, New Mexico. I still can't believe people buy pets. Yes, I know there are show dogs and that is fine. But if you want a pet to love and one that will love you, please rescue a dog. If this video doesn't convince you, read my story again! The marvels of our planet Earth. 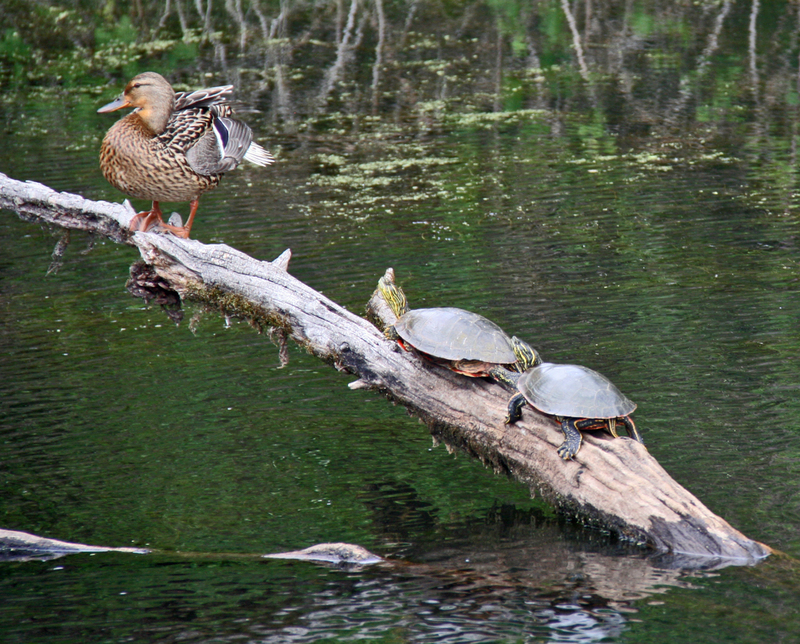 I sniffed these out at the Ridgefield Wildlife Refuge (from the car). What a boring day it was. My dear family from Poulsbo left. The house seemed empty. But I didn't realize how empty it was going to be! Around 7 a.m. I was rudely awakened (I prefer to arise at 9 a.m.) and told to go outside. So I did. 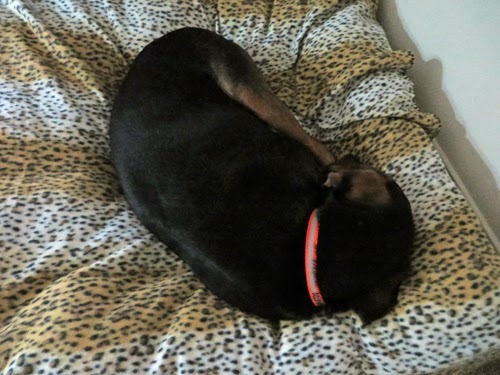 When I got back in I was looking forward to returning to my bed in the office TO GET BACK TO SLEEP! This is what I do when I'm bored! I was then sent into the garage with an early (cold) breakfast to sleep there. I was pretty sleepy so I didn't think much of it. I just found my big bed there and cuddled up to go back to sleep. I woke up around 10 a.m. The sun was streaming into the window. It looked like a nice day OUTSIDE. But my owner was gone. 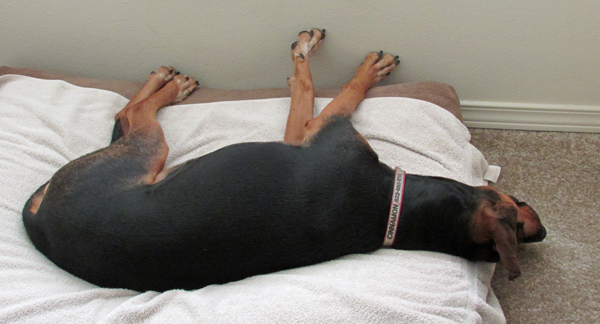 I ignored my breakfast and went back to sleep. After all there was nothing to do. About noon I woke up and looked around. NO OWNER... ANYWHERE! I was feeling really neglected. I considered calling the Humane Society. After all, I had been left alone since 7:30 a.m. Sigh.... At exactly 2:33 p.m. My owner showed up and let me outside. FINALLY! It was a beautiful day out. I enjoyed being out. But my owner then left AGAIN! This was getting to be old, old, old! At 5:30 she showed up. It was now dinner time. She finally noticed I hadn't touched my breakfast kibble. She added some things to it and brought it outside for me to eat. And I gobbled it all up. I was hungry but didn't want to eat alone. She sat outside with me so I could finally enjoy life again! We played ball and I rolled in the grass. The weather was perfect. And, the squirrels were nowhere to be seen. The boring day was over. I hope that doesn't happen again! I haven't written much lately because I have been busy with my new package and with a visit from my Country Cousins. Firstly, I got an interesting package. But what was inside, was TOO BIG FOR ME! Fortunately, the company is a good one and will exchange the item. 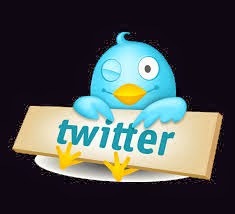 More later on THAT! But then, the big news. My country cousins, sans canine companions came to town. I always love to see Tom and Glenda as they spoil me mucho! But this time they had a mission. THEY WERE GOING TO CHANGE MY BACKYARD! Well, you know how I avoid change. When they started putting a treatment on the deck I was appalled. I was wearing my pink collar and THE DECK LOOKED HORRIBLE WITH MY COLLAR! Of course they didn't ask my opinion, so there is the new deck. Tell me the cedar color of the deck looks good with my pink collar. Ugh! Not! Then they started putting lattice up on the fence. MY FENCE! This is where I carefully scare the squirrels. Now that there are TRELLISES ALL OVER THE SQUIRRELS CAN GET INTO THE YARD EASIER. Arrrgghh. Why doesn't anyone talk to me about changes. I HATE CHANGES! But it was fun seeing Tom and Glenda and getting all of that attention!!! What's in the Big Envelope? I got another package in the mail. Now this one is fairly flat and is a huge white envelope filled with something interesting. It can't be food or treats. It is from http://www.thedogoutdoors.com/ so what on earth is it? It had better not be a dog pack pack for hiking. I don't want to be the beast of burden! Let me know what you think by commenting. Let's see if Whitley can guess this one! 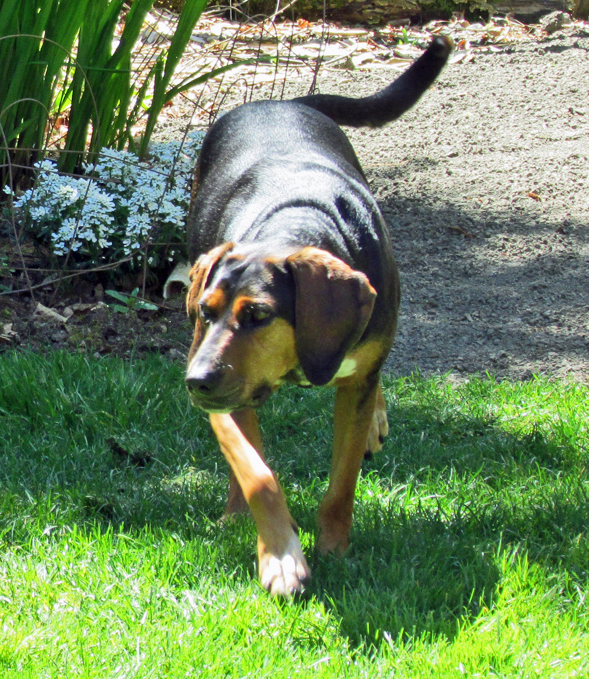 Please come join me, Cinnamon, on this fund-raiser walk on May 2nd, 2015. I walked last year and had a ball. I especially liked all the vendors who handed out treats and petted me. If you live anywhere Southwest Washington state, please consider this event in Vancouver, WA. It will be great fun! Shake off your sneakers, grab the leash (and the dog), and come celebrate a love of animals with us. Walk or run on May 2 to help provide medical care, shelter and love to more than 8,000 animals each year. I told you I would share with you what was inside my exciting package. It turns out is was full of goodies to celebrate the launch of a very interesting product! 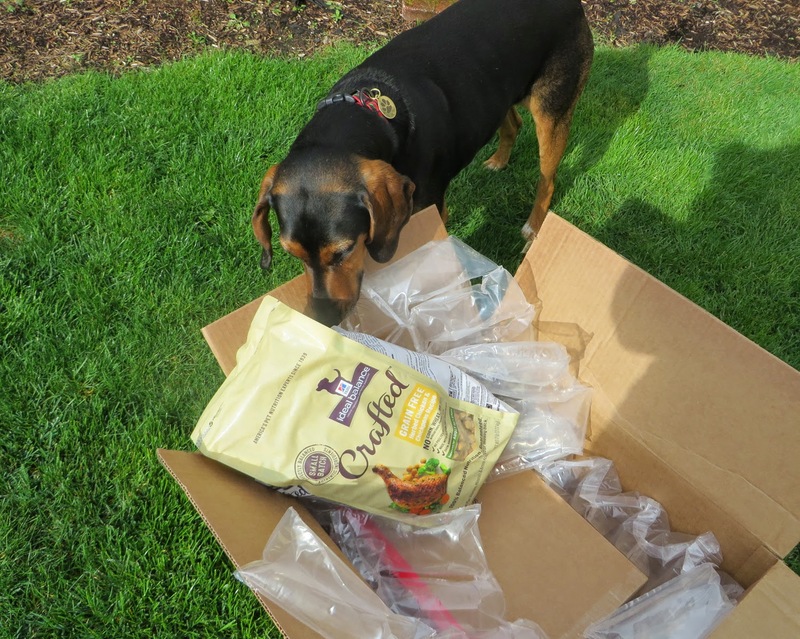 Hill’s® Ideal Balance™ Crafted™ dog food is new and they wanted to make sure I had all the information I needed to participate in the launch as well as some other goodies! So here we go.... the box is open! Wow! Look at this. I can't wait to try a sample of this new food! So one is for dogs and the other is for... gulp... cats! I'll get rid of that one. Maybe my neighbor cats will want to try it? Here's the apron that was in the box. They make the new food in small batches so they are crafted. But the apron doesn't do much for me, does it? that I just crashed this afternoon! I Just Got This in My Email - Do You Think It Might Be an April Fool's Joke or Real? Now at dog-level at select locations. Join our Text Club for deals! Did you know? You can return your discs to any box you want, at no extra charge. †When you text ALERTS to 727272, you'll get up to 2 messages. Up to 2 messages/week. Message and data rates may apply. Text STOP to cancel, HELP for help. By signing up you agree to receive marketing text messages, which may be sent through an automatic telephone dialing system, from Redbox at the mobile number provided. Consent is not required to purchase goods or services. See mobile terms here: http://www.redbox.com/textclub/faq. Movie Night : Promo code for free 1-day DVD rental will be sent via text after joining the Text Club. Subject to additional terms. Void where prohibited.